Unified Communist Party of Nepal (Maoist) Chairman Pushpa Kamal Dahal, also known as ‘Prachanda’ (R), and Prime Minister Baburam Bhattarai address a press conference in Kathmandu on July 22, 2012. File photo. New Nepal Prime Minister Pushpa Kamal Dahal pledged to unite a country hit by deadly protests over constitutional changes after politicians elected the Maoist leader and former guerilla fighter to head a new government. Dahal, better known by his rebel pseudonym, Prachanda (the fierce one), led a decadelong Maoist insurgency before transforming the rebel movement into a political party after a 2006 peace deal. Dahal is tasked with rebuilding Nepal after a devastating earthquake and resolving unrest over the national charter, adopted in September. “I pledge that I will unite everyone in the country,” he said in an address to parliament before the vote. 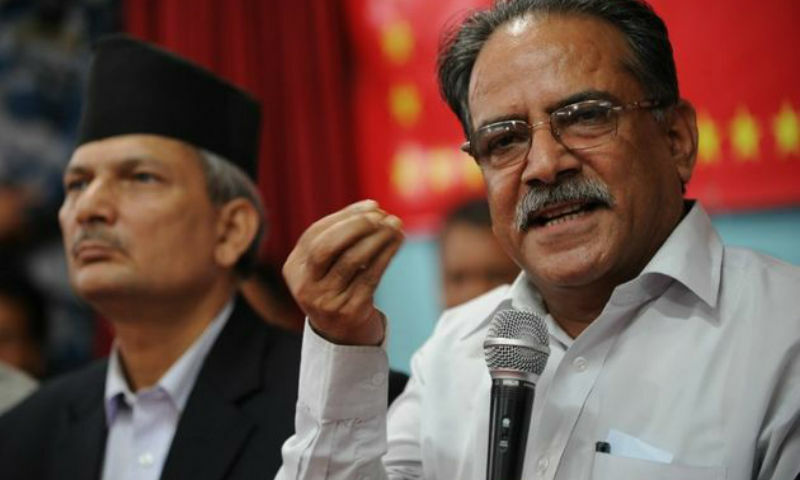 Maoist party head Dahal ran unopposed and secured 363 out of 573 votes to become the Himalayan nation’s premier for a second time. He has served as prime minister before, after the Maoists won elections in 2008, but only lasted nine months in office before resigning. Dahal, whose Maoists are the third-largest force in parliament, pulled out of a coalition, led by former prime minister KP Sharma Oli, three weeks ago and secured the support of the biggest party, the Nepali Congress. He also won the backing of the United Democratic Madhesi Front (UDMF) – an alliance of protesting parties – paving the way for warmer ties with protesters from the Madhesi ethnic minority. Communist Party of Nepal head Oli had faced fierce criticism over his handling of a months-long border blockade by demonstrators who said the constitution left them marginalised. More than 50 people have died in protests over new federal state borders. Sources say Dahal is likely to be more sympathetic to protesters’ concerns, following the Madhesi parties’ decision to back his candidacy. “Prachanda is likely to address the long-pending issues raised by Madheshi parties,” Nagarik newspaper editor Guna Raj Luitel said. Changes to the constitution must be passed in parliament by a two-thirds majority, and with 182 out of 595 seats, Oli’s UML is an important source of support. The new charter, the first by elected representatives, was to bolster Nepal’s transformation from a Hindu monarchy to a democratic republic after decades of instability. The post New Nepal leader promises to work for unity appeared first on HeraldLIVE. Port Elizabeth businesswoman and Bay TV presenter Tsidi Limba has made a video campaign to mark National Women’s Month, asking women of different races, cultures and ages what “being a woman means” to each of them. The result is a seven-minute inspirational short film flighting on social media and on Bay TV throughout August. “In a society that is influenced a great deal by social media and television there are so many stereotypes of what womanhood is all about, it has become practically impossible for young women to find themselves,” said Limba, who describes herself as a social entrepreneur. With this in mind, she started the “Womandla Campaign”. “I asked 10 women of all ages and different professions that I found very inspirational to join me in a video monologue, answering just one question in their own perspective and experience ‘what it means to be a woman’. Katz Studio filmed the women and the result, hopes Limba, is a campaign that may help to give young women “a compass as they navigate their way through life”. She said the “Being a Woman” campaign would culminate with a brunch on the morning of Saturday, August 27, the final weekend of National Women’s Month. “We will be inviting young woman to a ‘conversation’ where we will be sharing with them how to best go about these challenges drawing from our own experiences as older women.” The brunch also will be filmed and broadcast on Bay TV, the same channel that carries Limba’s business show, Fix My Bizz. The post Tsidi’s ‘Womandla’ video campaign appeared first on HeraldLIVE. Fans of Days of Our Lives have been left up in arms after the SABC confirmed that it would not be airing the popular soapie. After thousands of complaints‚ the SABC has heeded your call. Except the new time slot won’t impress many. From 22 August the soapie will be aired at 11:30pm and will continue from where it left. The SABC has been unavailable for comments‚ but TMG Entertainment understands that after an unprecedented amount of complaints‚ pressure to revive the soapie was at an all time high. The post Days of Our Lives is back on SABC 3‚ but… appeared first on HeraldLIVE. Tensions are high in Nelson Mandela Bay where two thirds of the votes have already been captured, putting the ANC and DA neck-and-neck against each other. Most of the votes have already been counted, but there is a delay by the Electoral Commission in loading the information onto their website. At last count, the DA – which hovered above the 50% mark for most of the day – had dropped to 49.52% while the ANC had increased to 39.41% from 34.31% earlier in the day. Walmer township (Ward 4) – the ward where deceased ANC councillor candidate Nceba Dywili was standing – has seen the ANC clinch about 78% of the votes thus far. There is no sign of ANC mayoral candidate Danny Jordaan at the IEC results centre in Port Elizabeth. DA mayoral candidate Athol Trollip, who has been at the centre since early morning with his family, said he had mixed emotions. During an earlier interview Trollip said he was happy about the party’s performance thus far. “We are not going to count the chickens yet, but we have won 23 or 24 wards, which is close to our predictions. We have won Ward 38 in the northern areas and lost Ward 31 to the ANC. It is because it was dramatically demarcated [and the ward boundaries changed]. “We retained Ward 35, although it was also demarcated. I am pleased about the performance,” Trollip said. ANC provincial executive committee member, Andile Lungisa, said they were confident that the ANC would win the metro. “DA will never run this city in our life time. We have won 36 wards already and have claimed three wards from the DA (29, 31, 53), Ward 30 from the UDM and Ward 42 from independent councillor Andile Gqabi. “We are humbled by the resilience shown by our people under difficult conditions. “Even though it was raining, our people went out in numbers to support their glorious movement which has been under attack from all corners, especially representatives of the white monopoly capital led by DA. “We are not worried about the DA leading in the metro at the moment because we are still waiting for the results from our strongholds to come in,” Lungisa said. Speaking on behalf of the EFF, Thomas Ruiters said they were happy about winning Ward 43 and that this guaranteed them at least one seat in the council thus far. All proportional representative votes will still have to be tallied, which could drastically change the balance of forces. Meanwhile Nelson Mandela Bay is buzzing as residents await the outcome of the most hotly contested local government election for the Eastern Cape municipality. In the Port Elizabeth city centre, voters – eager to show off their inked thumbs – had mixed feelings. Christo Leppan, 33, who was rushing to a job interview, CV in hand, said he had voted for the DA. “I am really pleased that they are leading. I can only hope that as they day goes by it will only get better,” he said. “I’m currently unemployed and I just want there to be jobs for our people. I need a job. I hope that with the vote I cast yesterday. Change is on the way. Nomaphelo Santi, 22, of Zwide was less upbeat. “I’m not so happy about the results so far. I’m ANC and my family is ANC. I just hope that as the day goes by these results are going to change,” Santi said. Eric Hanana, 41, laughed when given the latest update. “These results that are out so far don’t mean much. As the day goes by things could change. The DA has won over particular areas but the areas which are situated in the locations are still being counted. These areas belong to the ANC, Hanana said. Nomaphelo Ncula, 37, of Kwazakhele became emotional when talking about the results. “This doesn’t make me happy at all. I voted for the ANC and I am now starting to panic because I want to be led by the ANC,” she said. The post Gap between DA and ANC closes appeared first on HeraldLIVE. A Consortium led by private equity firm Apollo Global Management has emerged as the front-runner for Anglo American’s metallurgical coal mines in Australia, valued at up to $ 1.5-billion (R21-billion), according to two sources familiar with the matter. Anglo American, like its peers, is selling off prized assets after a prolonged commodities rout that has left it with high levels of debt. The mining firm said in February that discussions were under way about divesting its Moranbah and Grosvenor assets, as part of its plans to sell $ 3-billion to $ 4-billion (R42-billion to R56-billion) of assets this year in order to cut debt. The process is being run by Bank of America Merrill Lynch. Apollo had now teamed up with energy-focused private equity firm Riverstone Holdings and Pennsylvania coal exporter Xcoal Energy & Resources, founded by Ernie Thrasher and Chris Cline, a billionaire entrepreneur dubbed the King of Coal, and was on site finalising details of the deal, one of the sources familiar with the matter said. The consortium, which has yet to enter exclusive talks but could sign a deal within weeks, had financing lined up from four banks, the source said, speaking on condition of anonymity. Reuters previously reported that major mining firms BHP Billiton and Glencore as well as suitors from China, Japan and India were looking at the assets. Anglo American last week booked a $ 1.2-billion (R16-billion) impairment on the value of the Moranbah-Grosvenor assets, which it said reflected a weaker outlook for the price of metallurgical coal, used in steel making. It said it could not comment on the ongoing sale process. Apollo, Riverstone and Glencore declined to comment, while Xcoal and BHP Billiton did not immediately respond to requests for comment. “It’s a complex process,” Anglo American chief executive Mark Cutifani said last week. Several bankers said BHP Billiton Mitsubishi Alliance (BMA), the world’s largest metallurgical coal exporter, had made a bid for the assets, but could run into competition issues in China and Japan. The post Bidders vying to buy Anglo’s Australian coal mines appeared first on HeraldLIVE. SAA’s suspended head of treasury, Cynthia Stimpel‚ will apply today for an urgent interdict from the Labour Court against the airline proceeding with a disciplinary hearing against her. This happened after she blew the whistle on a dodgy finance deal bigger than Nkandla. Stimpel was suspended on July 13 for removing company documents‚ which SAA said was a breach of the company’s code and ethics. Her disclosure of documents detailing how the airline skirted procurement processes in selecting BnP Capital to source R15-billion in funding in return for a R256-million kickback was the key to the deal being cancelled. Stimpel told acting chief financial officer Phumeza Nhantsi that BnP’s services were three times more expensive than the nearest quote she had received from banks. In an e-mail to Nhantsi‚ Stimpel writes: “When I do the calculations‚ according to this hypothetical quote from Absa … I see that SAA can save five-sixths of the funds calculated for the BnP transaction. Nhantsi ignored this information‚ according to e-mails in the court documents‚ and told Stimpel she no longer needed price comparisons since the plan already had board approval. In court papers filed on Tuesday‚ Stimpel lays out how she felt that after repeated attempts to halt the process by appealing to Nhantsi‚ the Treasury and the public protector to stop the deal – all of whom did nothing – she had no option but to approach the Organisation Undoing Tax Abuse (Outa). The case‚ which will be made on behalf of Stimpel by Stephen Budlender SC‚ argues that her disclosure of the information to Outa is protected by the Protected Disclosures Act‚ and that she therefore cannot be disciplined by SAA. Stimpel says SAA’s actions to discipline her make no sense since the airline said that after an investigation it had decided to cancel the deal. She says the investigation was only prompted by Outa’s action‚ and her role in that action was central. “Despite this‚ it is now apparent that SAA is intent on disciplining me for this very conduct‚ even though it prevented SAA acting unlawfully‚ and even though it prevented unlawful and unnecessary expenditure of public funds to the tune of R250-million‚” she says. SAA is expected to oppose the matter. The post SAA official in court bid to block hearing appeared first on HeraldLIVE. Elza van Lingen is rolling up her sleeves‚ anticipating a lot of hard work during her stint as the first Democratic Alliance (DA) mayor of the rural Kouga Municipality in the Eastern Cape. 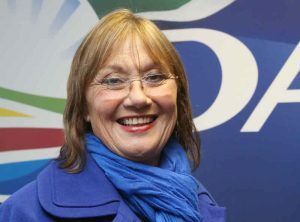 “We have got to clean up Kouga and start delivering immediately the better services that we have promised the electorate‚” she told TMG Digital shortly after provisional poll results showed a win by the DA in the local government elections on Thursday. The municipality – which includes Jeffreys Bay‚ Humansdorp‚ Oyster Bay and Cape St Francis — borders Nelson Mandela Bay (Port Elizabeth). The DA won with more than 57% of the vote to the ANC’s 40-odd%‚ marking a significant shift in power in what has traditionally been an ANC stronghold province. Van Lingen said that it “was clear” that the feeling to “vote for change” had been very strong on the ground‚ even in impoverished parts of the municipality. “We have attained six of our wards‚ the previous six that we had and a seventh ward in Humansdorp and a few others‚” she said. “The surprise‚ though‚ was Ward 14‚ the area of Ocean View that we won. Ocean view‚ you must understand‚ there are so many squatter homes. It is so poorly serviced by the municipality that you can’t believe it. So we have got to pick up all those things and get the house in order. But‚ it is just so exciting‚” she said. “We went in with a DA manifesto‚ now we have got the voters’ mandate and now we have to implement it‚” she said. Van Lingen became a councillor in the then Cacadu District Municipality in 2006‚ and in 2009 she became a member of Parliament. In 2011‚ she was elected as the leader for the DA in the National Council of Provinces (NCoP). However‚ as of today‚ Van Lingen said‚ she will have to resign from her position at the NCoP as she takes on her new role as mayor of the Kouga Municipality. “We never know what we are going to get once we take over; it is always sort of a rude surprise‚ but we are absolutely prepared to take on all the challenges thrown our way. That is what we have been fighting for. “The people have suffered for such a long time‚ but it’s now time that we make the change‚” she said. Van Lingen added that some of the changes‚ both internally and externally after the DA’s win‚ will be implemented as soon as possible. Speaking about the internal changes to be implemented‚ she said: “Internally‚ we have got to start with the auditor-general and his report‚ and what has been done today. To rectify or to improve further matters that he raised as concerns. “There are a large number of broken vehicles and machinery that the ANC never took care of‚ so we have got to look at that and our assets and where we are going with it. “It is now the second month in the new financial year‚ so we will hardly be able to use funds when needed because we must first do the adjustment budget and that comes in the middle of the municipal year‚ around January/February‚” she said. Kouga Municipality’s outgoing mayor‚ councillor Daphne Kettledas‚ said the ANC remained positive despite the loss. “We still feel positive‚ as I don’t think there is anything to feel negative about. We still have work to do here‚” she said. Western Cape Premier Helen Zille took to social media and to describe the win as “huge” earlier on Thursday. The post Kouga’s new mayor vows to ‘clean up’ problems appeared first on HeraldLIVE. The Nelson Mandela Bay tourism industry generated more than R7.3-billion for the local economy last year alone. The latest figures from Nelson Mandela Bay Tourism come only a month after the 2015 South African tourism performance report was released. The performance report shows that R91.8-billion was generated nationally last year, an increase from the R91-billion in 2014. This comes amid uncertainty on whether the revised visa regulations and unabridged birth certificate requirements would affect the country’s tourism figures. While the national trend shows a decrease in domestic and international tourism throughout last year, there was an increase in bed nights booked, which led to more money being spent. “The decline in international tourist arrivals to South Africa was driven by declines from the Africaland markets,” the report said. According to it, the 8.9 million foreigners who did visit the country spent more money – probably due to the favourable exchange rate and a steady increase in South Africa’s prices. Last year, R68.2-billion was generated by foreign tourists and R23.6-billion by domestic tourism nationally. Of the national total, the Bay raked in R7.3-billion – up from R6.5-billion the previous year – from both domestic and international tourists. This boost to the Bay’s tourism industry alone led to the support of 48 300 jobs. The latest Tourism Satellite Account for South Africa, released four months ago, said that in 2005 there had been 475 664 individuals directly employed in the tourism sector nationally, rising to 680 817 individuals in 2014. While the Bay’s tourism industry report is still being compiled, a preliminary view shows the accommodation bed-night occupancy increased from about 52% in 2014 to 55% last year. Nelson Mandela Bay Tourism chief executive Mandlakazi Skefile said despite a decline in tourism, money was still being pumped into the metro. “Although the statistics show there was a decline in terms of the number of foreign visitors to the city [last year], this was negated by the average length of stay, which increased and thus led to an increase in the overall bed nights spent in the metro from 644 778 in 2014 to 870 596,” she said. Domestic tourism saw an increase in bed nights booked in the Bay by South Africans to 870 596 from 644 778 in 2014. This was also due to an increase in the average length of stay of domestic visitors, Skefile said. This saw the domestic direct spend for last year increase to R6.5-billion from about R6-billion in 2014. “Due to the financial constraints for South Africans to travel overseas, many of them have opted to travel domestically, therefore retaining the spend locally,” she said. Direct spend mainly benefits first-hand industry recipients like hotels, guesthouses, car rental agents, crafters and attractions. Indirect spend benefits suppliers like fuel stations, laundromats, catering services and shops. Asked what was being done to increase tourism to the Bay, Skefile said NMBT had various strategies in place such as leveraging of the marine diversity, increasing cruise liner visits and targeting niche international markets through trade shows and custom packages. They were also working on boosting international visitor numbers, she said. Nelson Mandela Bay Business Chamber chief executive Kevin Hustler stressed that tourism and leisure played an important role in the diversification of the Bay’s economy. 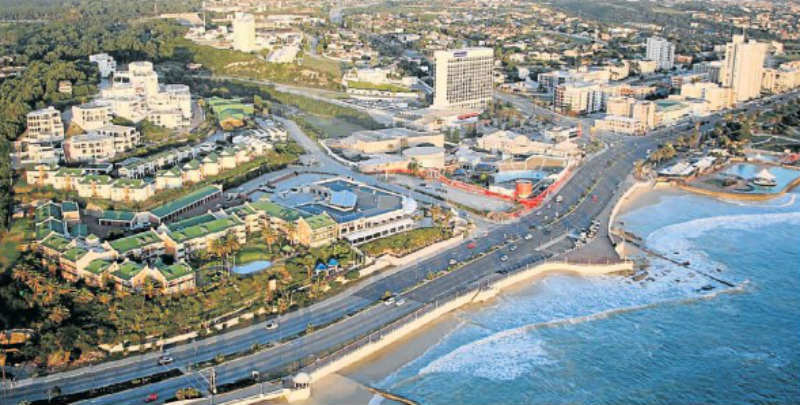 “The tourism industry is a critical growth sector for Nelson Mandela Bay, and it has immeasurable potential to become a major contributor to the economy,” he said. It was important to harness and encourage the momentum from international and domestic tourism, he said. “Positioning the city as a global player in the international tourism arena offers an incredible opportunity for residents and businesses to showcase our hospitality and unique Friendly City warmth. “It is not just the tourism industry but all industries that need to be able to operate in a tight economy,” Hustler said. He said tourism and hospitality had been identified as a priority sector in the Bay’s industrial development strategy. The post Tourism pumps R7.3bn into Bay’s economy appeared first on HeraldLIVE. The NMMU and Rhodes University choirs will be singing on your television screen tonight in the first Varsity Sing series on kykNET. Hosted by Marno van der Merwe, Varsity Sing sees South Africa’s top university choirs compete in a knock-out competition over 13 weeks for the title of best university choir. The Port Elizabeth recordings were held in May at the Feather Market Centre, giving NMMU, Rhodes and Tshwane University of Technology a chance to perform for a spot in the semifinals. Although the Varsity Sing series started last month, tonight is the first episode with the Eastern Cape choirs, and it is on at 8.30pm on Channel 144. Next week they also will be on screen in the elimination episode on Thursday. Each choir performs three songs per episode, covering traditional and new music in three of the official languages. The post NMMU, Rhodes choirs on TV tonight appeared first on HeraldLIVE. Get all the latest news and results from the 2016 local government elections as it happens. Refresh your browser for the latest updates. The post LIVE: Elections 2016 results appeared first on HeraldLIVE.